“I think fear is a universal human experience…” Can I get an amen? Whether it’s heights, a first date, or childbirth, we all experience fear. Maybe those aren’t on your list (they have been on mine! ), but I bet you could list a few of your own. Sometimes fears are small and not a big deal, like the fear of the dark. Relatively easy to overcome for most people. Sometimes they can be absolutely consuming, like the fear of being alone when a loved one passes. In every case, however, we have the ability to tap into something beyond ourselves to help us get past the fear and even thrive. I fully believe that thing is faith. When you’re an entrepreneur or you dream bigger dreams than you think you’re capable of today, you face fear. But maybe fear can be a motivator. Maybe our fear can actually be the thing that pushes us to rise up to the dreams that we think might be bigger than we are. They’re definitely not bigger than God, after all. On this week’s show, we welcome author, speaker, and faithful girlfriend Lakeshia Poole to the show. Lakeshia is the founder of Jack of All Trades Media. 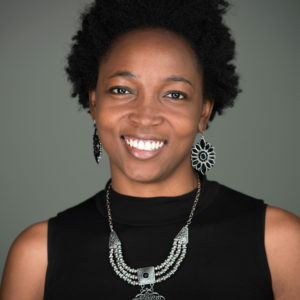 She works as a writer and public relations consultant, crafting compelling content that sparks change and connects people. (Read more about Lakeshia here – her credentials, experience, and expertise are impressive, trust me.) Connect with Lakeshia through her Faith Beats Fear Community on Facebook and get your own copies of her book and Faith it ’til You Make It T-shirt at her website https://faithbeatsfear.com. If you ever struggle with fear or wish you had a little more faith, listen to today’s show. You will be encouraged. And while you’re at it, share it with a friend, post a link on social media, subscribe and tell the world what you think about the podcast. Thank you in advance for that. Listen to Episode 11: Faith Beats Fear here or subscribe via iTunes, Stitcher, Google Play, and more by searching for The Southern Fried Girlfriends Podcast on your podcast app. Swing on over to The Southern Fried Girlfriends Facebook page to chat about this topic, get some other resources, and look out for my Monday Morning Chat Live there too!